The official title of the month: Jameson Nation. Simply put, it’s an entire month where we get the excuse to try new things with our favourite Irish whiskey & also play around with the Jameson classics. Not that we need much of an excuse… but we’ll take any that involves playing around with the more complex members of the Jameson family. Take Jameson Black Barrel for example. It’s like a grown up sophisticated version of the original we all know & love. Now, match that up with a tantalising fresh grapefruit juice & a refreshing ginger beer and you’re sure to experience a perfect balance of spice and the smoothness of vanilla, which is affectionately called ‘The Irish Wolfhound’. Jameson has been a long time favourite down at Little Blackwood. We’re always impressed by their ability to deliver a long line of beautiful whiskeys that we get to taste & mix. Jameson Nation isn’t only about the whiskeys themselves it’s also about celebrating the passion, knowledge & creativity in the bar industry as a whole. 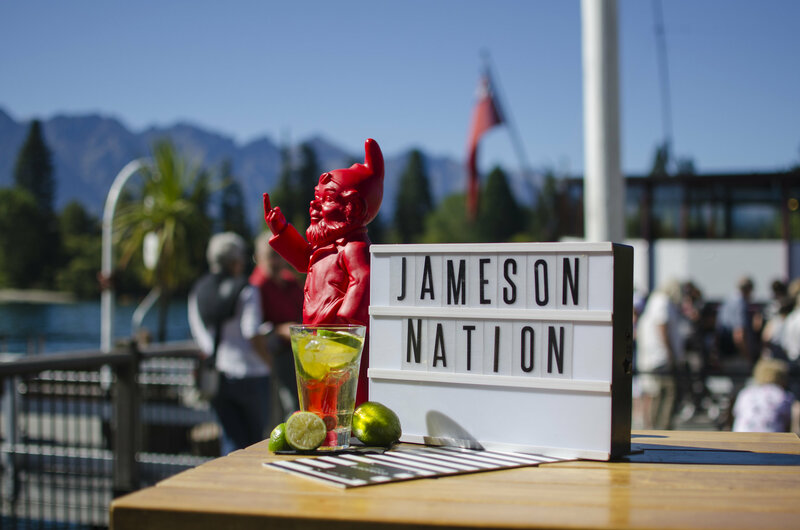 What we put into every drink poured, every classic re-created, every customer served… We here, at Little Blackwood, pride ourselves on just that & were ecstatic that on our 1st ever Jameson Nation last year we were picked as a finalist. This year we’re planning to go that step further and not only be a finalist, but the winner. One of the many things we hear on the other side of the bar is ‘Oh I’m not a fan of whiskey’… and that’s totally a fair comment. You may have tried dozens of whiskeys and you may just prefer a nice Gin & Tonic or a delightfully hoppy beer from one of New Zealand’s vast craft breweries. However, we implore you, before you exclaim the same sentence again… try our ‘Bartenders Favourite’ – Jameson, Dry + Lime. This simple yet delicious tipple is many a bartenders favourite for a reason & we’re pretty confident we can make a whiskey drinker out of you yet. If you’re more of a sink or swim type of drinker why not chuck yourself straight in the deep end with a ‘pickleback’ shot…A shot of Jameson followed by a shot of pickle juice, your hesitation was the same as ours, however all we can say is – Don’t knock it ‘till you try it! We hope to see you here at Little Blackwood soon to try one of our many creations with the worlds most popular Irish Whiskey.